I recommend Southwest to people all the time. I love the way they include more than other airlines with bags included and freedom of seating with check-in times. Another bonus is their flight attendants are always so fun and friendly. I often will intentionally pick certain destinations/airports based on availability to fly Southwest. I had to fly down to Orlando FL Family emergency My flight did not cost arm and leg for last minute booking! Thank you Southwest Seats were comfortable No charhmging for snacks They did not nickke and some you firvextra expenses Will continue to Fly with southwest!!! The best way to fly. 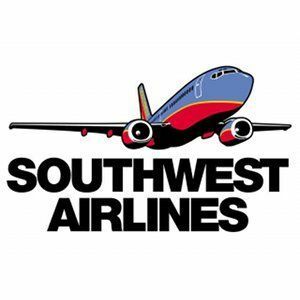 Southwest airlines is reliable and is my preferred airline. The service was exceptional. Being on a cross country flight that was over 2,000 miles it was a very comfortable and quite trip. The flight attendants were very friendly and efficient. I love knowing when I check in my luggage it will not be lost or stolen. Southwest is awesome at protecting the security of their passengers luggage. Yes I will use Southwest again for many reasons a big one being it is affordable. More importantly I can trust their quality of service each and every trip. I've been flying Southwest for years now, and I will only choose them for domestic flights. The staff and crew are always friendly and make travel a great experience. On a recent trip, our flight was delayed by about a half hour and having technical issues at the gate which was completely understandable. Not only did the crew do everything g in its power to make sure the passengers were comfortable, but a few days after returning home I was pleasantly surprised to receive an email from Southwest apologizing for the delay and providing a voucher to apply to my next trip. Not many companies will do this (even when someone lodges a complaint, which we did not). I would recommend them to anyone based on their customer service alone. I love Southwest! 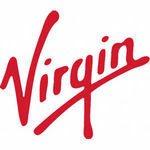 They cater to the needs of a business traveler and a personal traveler. I enjoy the points system they have attached to the credit card! Never had a bad experience on Southwest airlines. I don't travel much, but when I do, I chose Southwest. They have great deals and are typically running on time. I fly quite often, and always have over the years. I have had the opportunity to fly both domestically and internationally and have taken multiple different airlines for various reasons. However, I have always come back to Southwest, and now exclusively fly them domestically. Some say airline customer-service is an oxymoron, and most know the airline industry is a tough industry when it comes to customer satisfaction. 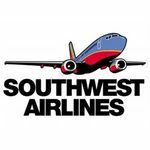 One thing is true about Southwest though that sets them significantly apart - customer service. Most people believe that when there is a delay or cancellation that it's always the airlines fault, and thus don't take things into consideration like weather, which we all know humans have control over. 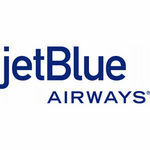 When these situations have occurred with Southwest (which has been a rarity on the dozens of flights taken each year), they have always seemed to be one step ahead of the customers solving problems and always do it with a smile. From the gate clerk to the stewards & attendants on-board, it's been hard pressed to find a rude, unhappy and unhelpful Southwest Employee. I highly recommend Southwest to everyone. From low-fares to free luggage check and amazing customer service, you really cannot beat the experience. When flying, I always look at Southwest Airlines first. 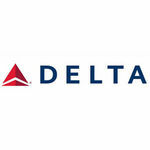 They are usually the most affordable airline with cheap fare and 2 free checked bags! Plus, I like the way you board a flight with them. I usually upgrade to get a number in the A section so that I can claim a window seat without any problems. I also like their free snack and drink on board. 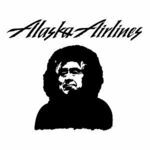 It's definitely my favorite airline to travel with. I will for ever fly Southwest! I flew with them in March and LOVED IT! AND THEM!